The inRiver Champions Program (ICP) celebrates and leverages the talent and ideas from the best product information management professionals within the inRiver partner community. Why are you an ICP member: I have experience from complex inRiver PIM solutions that push the limits of inRiver in a B2B setting. I was chosen to be included in the ICP because I have been working successfully with inRiver in improving the inRiver architecture. What inRiver PIM skills are you most proud of: Being able to translate business needs into an intuitive and simple inRiver solution model that solves the needs of the customer. Why are you an ICP member: As expert software engineer at CTAC, I am a key person to map customer and partner requirements to the most suitable way of software implementation, primarily using Microsoft technologies, and for the past 2,5 years — inRiver PIM solutions. I am experienced as a software architect and system integrator. I am a proven valuable member of the ICP team and I support inRiver and their customers with software solutions and ideas that raises product information management to a higher level. What inRiver PIM skills are you most proud of: I’m proud of developing software that can seamlessly run on multiple versions of inRiver PIM as either connectors, extensions, or external applications. I am also proud of implementing industry standards like ETIM and GS1 that can be imported into or published towards other systems from the inRiver PIM model. Why are you an ICP member: I’m proud of what I know and do. Engaging the inRiver community is a great way to give back and learn something new in the process. I think my community engagement and investment in the platform, combined with my passion for problem solving, solution architecture, and broad PIM experience helped earn me this recognition by inRiver. What inRiver PIM skills are you most proud of: Keeping things simple and according to best practices when possible, while pushing the limits and thinking outside the box when needed. Having a holistic view is key for a successful PIM project and you can only achieve that by having a good partnership with your customers, which I value highly and always strive to build. Why are you an ICP member: As Chief Technology Officer at our company I would like to support our technology partner with ‘real feedback’ from customer, architectural, and development perspectives. Sitting ‘close to the fire’ not only means having the latest news but also being a good listener to all parties involved. What inRiver PIM skills are you most proud of: I like the whole picture, but am really excited to be active in the largest inRiver implementations and having the largest inRiver experts around in my own team. At least for the Benelux area. Why are you an ICP member: Leveraging the experience gathered in numerous inRiver projects, small and large alike, I can contribute to the continued development of inRiver both as a product and a community. What inRiver PIM skills are you most proud of: Tailoring impactful and maintainable solutions based on the needs of the customer in and around the inRiver system, especially in integration heavy scenarios. I showed great expertise with the inRiver platform. I can easily understand the complex business needs of each client and translate that to inRiver to take full advantage of the platform. I participate actively with the inRiver support team to help make inRiver the best PIM platform on the market. Great knowledge of all the inRiver features. Knowing how to leverage each feature so that it benefits the end user. I prove I can develop connectors (or extensions) for different kinds of models. Participate in model analysis to leave the PIM as it should be. For example, inRiver is a product information management system, not an ERP. Show concerns and feature ideas to the inRiver team by communicating with inRiver support. Facility to use every PIM feature or even build side applications to extend the PIM for the client needs. I participate in the inRiver-Magento connector development which is used on many e-commerce websites. Why are you an ICP member: I have been recognized as an ICP member because of my knowledge of the InRiver system. What inRiver PIM skills are you most proud of: I’m most proud of our ability to provide our customers with value from their PIM investment early in the process. We are able to quickly learn the challenges of our customers unique businesses and also educate them about the solutions that inRiver provides. This helps build consensus around proposed solutions for quick and frictionless implementations. Why are you an ICP member: I have been implementing inRiver PIM solutions for several years and it has been my main focus these latest years. I believe I was chosen to be included in the ICP because I have been working successfully with several large customers together with inRiver and provided input to inRiver on how to improve their product. What inRiver PIM skills are you most proud of: Being able to understand customer needs and translate those needs into an inRiver solution. I understand the inRiver product well and am invested in communicating and working with the product team to improve the base inRiver product. I have been working on automation of configuration and data import / output that could be eventually used to improve the base product. I also have a unique perspective in that I am Business Consultant and Developer certified. The automation around inRiver iPMC, increasing speed to market. Solving complex problems with simple elegant solutions. Why are you an ICP member: I believe I can contribute in a positive way, helping both the community and the product to improve and be even better going forward. What inRiver PIM skills are you most proud of: I am good at finding all the benefits for inRiver PIM within an organization to ensure maximum usage. Sometimes they can be hard to find unless you know where to look. 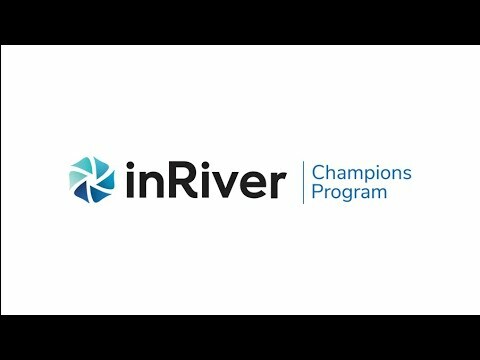 Learn more about the inRiver Champions Program.